What does Platinum Elite Status in IHG Rewards Club give Me? Sure, a 50% bonus on top of base points and complimentary room upgrades sound amazing but since it requires 40 eligible nights (or 40,000 elite qualifying points), chances are most of us are never going to hit it (especially if you do not travel for work). How do I purchase the Platinum Elite Status? The question on everyone's head is obviously how on earth do you purchase this Platinum Elite status? The way you do this is a combination of two things: the InterContinental Ambassador Programme and the IHG® Dining Rewards. You HAVE TO purchase the InterContinental Ambassador Programme first then the IHG® Dining Rewards in order to get Platinum Elite - if you do it the other way around, you'll end up with just Gold Elite which is pretty ordinary. The next crucial question - how much is it going to cost me? The short answer - US$464 (approx. S$660). Guaranteed room upgrade: enjoy an immediate upgrade to a superior room* (one category higher than purchased) each time you stay. 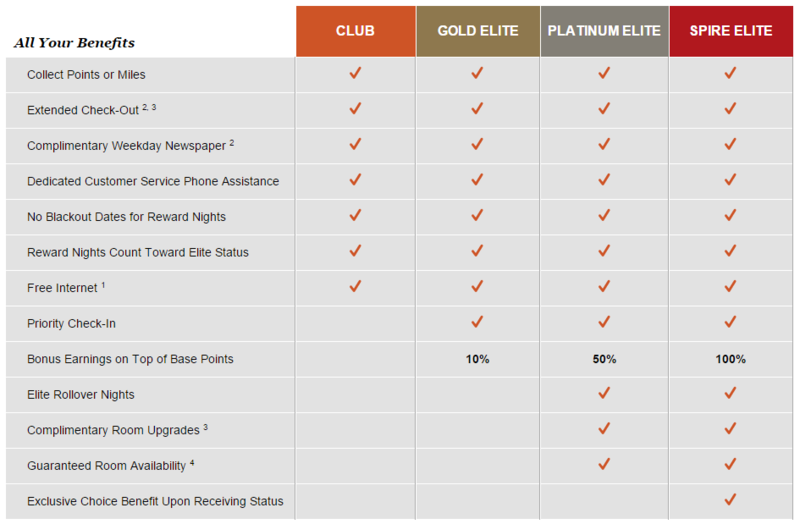 Is it worth paying S$660 for a Year of Platinum Elite Status? Possibly, but probably not. You used to be able to get a ton of hotel status matches with just the IHG Rewards Club Platinum Elite status but this has reduced dramatically over the years. If you do intend to stay a bit in InterContinental Hotels around the world (especially the more expensive ones), this may be money well spent but you definitely do have to weigh your options. Singapore Airlines and Qatar Airways are now participating airlines in the American Express International Airline Programme and when I compared the IAP to public rates a couple of days ago, Business Class tickets on Singapore Airlines were 28% cheaper (but on average they are approximately 10-15% lower which is still an amazing deal!). G-Star RAW To Exit List of American Express Platinum EXTRA Partner from 01 May 2019 - No More 7.81 Miles per Dollar here! The Platinum Card from American Express offers plenty of benefits and with the recent inclusion of Singapore Airlines in the International Airline Programme (IAP), this card has gotten a lot more useful for me since I can now book Business Class flights at a significant discount (and still earn miles/PPS Value from them)! If you have been on the fence about this charge card, check out my previous article on how I actually rationalised paying for the S$1,712 annual fee. The new KrisFlyer UOB Credit Card looks great but the only caveat is this - all the 'Accelerated Miles' will only post AFTER your card's membership year. This means to say that you will only expect to see your bonus miles next year! When I wrote about the changes to the International Airline Programme for American Express Platinum Members earlier today, I did not expect the savings to be drastic. If you have not seen that article, Singapore Airlines and Qatar Airways have essentially joined the IAP and American Express Centurion as well as Platinum Members now have access to discounted Business Class and First Class fares (that is not publicly available). Changes to American Express Platinum International Airline Program (IAP) - Singapore Airlines and Qatar Airways Now Included! One of the perks of the American Express Platinum Card that do not get talked about very often is the International Airline Program (IAP). When I rationalised paying the S$1,712 annual fee for The Platinum Card late last year, I noticed that the Business Flex rate for an Emirates flight costed approximately 11.5% lower than the publicly available rate. Today, a number of changes to the IAP have been implemented for The Platinum Card by American Express. American Express Platinum Members in Singapore can now book Fine Hotels & Resorts rates online - get instant confirmation on luxury properties! Have Marriott Bonvoy Platinum Elite or higher status? Kids under 12 (instead of 6) now eat for free at all participating hotels in Asia-Pacific. Saving More on Dining by Stacking Eatigo and ShopBack GO - Save More Than 50% Off! It goes without saying that I am a huge advocate for ShopBack - I have gotten more than S$3,000 worth of cashback from using it over the last couple of years and I have recently discovered ShopBack GO which allows you to earn cashback even when you dine out and pay with your credit card(s). I have recently relocated somewhere closer to the city and realised that Eatigo offers plenty of great dining discounts at restaurants that I typically frequent anyway. Incorrect Points Marriott Bonvoy Posted from Recent W Taipei Stay - 14% Lesser so Always Check Your Points! I have recently completed an amazing stay at the W Taipei where I was upgraded into a Marvelous Suite as a Platinum Elite member. However, when I looked at my Marriott Bonvoy account this morning, I realised that the points posted here approximately 14% lower than what I was expecting - it is always a good idea to calculate an estimated ballpark figure for the number of points you will earn from each stay and then reconcile it afterwards. Hyatt has now enhanced their Best Rate Guarantee program to offer members the opportunity to pick 5,000 World of Hyatt Points over a 20% discount. Effective immediately, members can now file for a Best Rate Guarantee and choose between getting an additional 20% off or 5,000 World of Hyatt Bonus Points (which will typically cost USD 120 to purchase) when it is approved. Remember, these additional benefits are on top of your newly-matched room rate.